Rescue Dogs Rock NYC celebrated its inaugural benefit reception and silent auction, last night, Tuesday, October 9, at The Harmonie Club located at 4 East 60th Street. Hosted by co-founders Stacey Silverstein and Jackie O’Sullivan along with co-chairs Georgina Bloomberg, Lara Trump, the evening included a cocktail and dinner reception and on-going silent auction. In addition to the well-heeled guests, there were some special furry friends as guests. 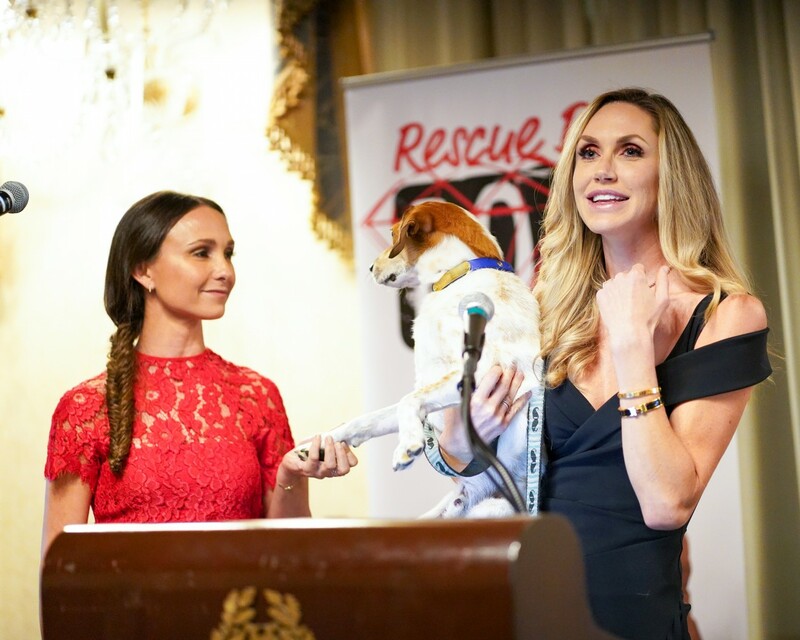 Co-chair Lara Trump delighted attendees by bringing her two adopted rescue dogs, Ben and Charlie, recounting a heartwarming speech about her close involvement with Rescue Dogs Rock NYC and its mission of rescuing abandoned, neglected and abused dogs across the country. Guests were also treated to a very special performance by internationally acclaimed opera tenor James Valenti. Notable guests included: Andrea Catsimatidis, Cheryl Casone (Fox News), Consuelo Costin Vanderbilt, Eric Trump, Heather Childers (Fox News), James Valenti (Opera Singer), Jean Shafiroff, Juan Williams (Fox News), The Honorable Jeanine Pirro, Leesa Rowland, Lili Buffet, Lucia Hwong Gordon and Tom Murro, amongst others.